There are several angles you can take if you want to add a few cloud computing stocks to your portfolio. But if you want to bet on the leaders in the business, you should start with Amazon.com , Microsoft , and Alphabet . Research firm Gartner predicts that the public cloud services market will be worth $383.3 billion by 2020, a massive opportunity that makes it crystal clear why these three key players are in the middle of a fierce battle for dominance. There are plenty of smaller players in this segment, all offering varying types of services, but let’s focus on the giants and how they plan to compete in this space. Data source: Yahoo Finance and Business Insider . Don’t feel bad if you’re not exactly sure what cloud computing is . The term can actually refer to several different types of cloud services, including software as a service (SaaS), platform as a service (PaaS), infrastructure as a service (IaaS). Microsoft’s Office 365 is one of the best examples of SaaS, while PaaS includes things like Google’s App Engine tools, which allow developers to build their own products and services. Meanwhile, IaaS involves things like networking features, virtual machines, and actual data storage — which Amazon, Microsoft, and Google all offer. In this article, we’ll use the general “cloud computing” term to refer to a combination of all of these services, because each of the big three players offers SaaS, PaaS, and IaaS. 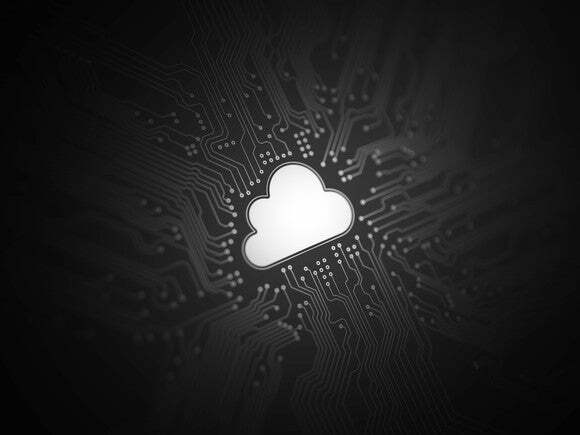 Amazon Web Services (AWS) is the clear leader right now with 40% of the public cloud computing market, according to Synergy Research Group.So investors accustomed to thinking about it as an e-commerce play should look closer. Sure, sales from the company’s retail platform in North America accounted for nearly 59% of Amazon’s revenue in the second quarter, but AWS generates far more of the profit . Amazon’s North American e-commerce sales brought in $436 million in operating income in the second quarter of this year, while AWS hit $916 million. AWS is the real breadwinner because of its hefty 25% margins and its stellar growth. Its revenue jumped by 70% in 2015 and 55% in 2016. Amazon isn’t a pure play in the segment, but it’s already proved that it can do both e-commerce and cloud computing very well — and at the same time. AWS revenue grew by 58% year over year in Q2, and it’s likely to continue growing as a key contributor to the company’s top and bottom lines. Microsoft may be known for its software prowess, but its Azure Cloud Services unit currently holds the No. 2 spot in public cloud computing with an 11% market share. The cloud computing segment brought in $18.9 billion in fiscal 2017 — a 56% year-over-year increase — and it’s on track to hit $20 billion annually by the end of fiscal 2018. It’s worth pointing out that Microsoft lumps all of its cloud computing revenue (including Office 365 software) into one segment, which pushes its cloud revenue higher than Amazon’s. Microsoft CEO Satya Nadella said back in 2014 that the company would take a “mobile first, cloud first” approach, and so far it has implemented the last part of that strategy quite well. Microsoft may trail Amazon, but it’s still far ahead of its next closest competitor, Alphabet. And the company’s long enterprise experience should help keep it solidly in that No. 2 spot. It’s a bit unusual to have occasion to describe Alphabet as anything other than a leader, but in cloud computing, it’s still a relatively small player. Google started selling its first cloud services back in 2008, and currently, holds about 6% of the market. But just because it’s the smallest player on this list doesn’t mean it should be counted out. In typical Google fashion, it’s building out its cloud presence by offering software like its TensorFlow machine learning algorithms for free to developers. TensorFlow is the magic behind the Google Photos function that automatically categorizes images for you, for example, and its machine learning makes the results of your Google searches more relevant. The company started giving TensorFlow away to developers a couple of years ago as part of its efforts to woo them to the company’s cloud platform. A recent MIT Technology Review article said that TensorFlow is “becoming the clear leader among programmers building new things with machine learning” and that “the software’s popularity is helping Google fight for a bigger share” of the cloud market because it’s easier to use on Google’s cloud than AWS or Azure. That strategy may seem like an odd way to build a cloud business, but TensorFlow has made Amazon and Microsoft nervous enough that they’ve teamed up to release a competing machine learning software product. 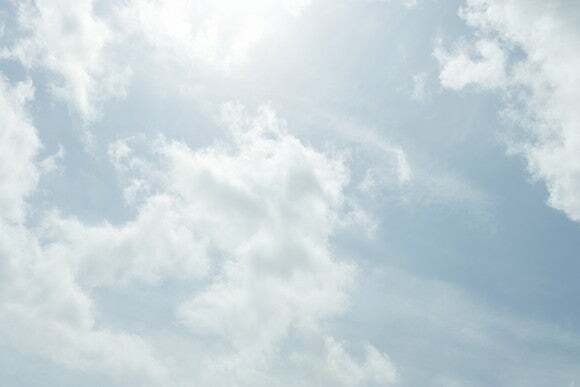 The head of Google Cloud, Urs Holzle, has said that he wants revenue from Google Cloud services to overtake the company’s advertising sales by 2020. Considering that the tech giant earns nearly 90% of its top line from advertising, that timeline sounds optimistic, to say the least. Google doesn’t break out its cloud platform revenue (nor any other segment’s sales, for that matter) but that doesn’t mean investors should overlook the potential for Alphabet here. It became a key cloud services player in a short period of time, and now offers important software that developers find very useful. And Microsoft and Amazon appear to be a little worried about Google Cloud’s rapid rise, which by itself should make it clear that it’s shaping up to be a formidable player in the space. The cloud computing sector is like any other when it comes to investing: You need to have a long-term perspective when buying shares in any of these companies. None of these tech giants are cloud computing pure plays, which means that many other factors — like Amazon’s retail sales, Google’s advertising dollars, and Microsoft’s software sales — will affect their share prices. But investors should keep in mind that we’re not that far into our cloud computing journey, and the gains these companies could make from these technologies the coming years could be far greater. So be patient, consider the other businesses these companies are in when building your investment thesis, and then sit back and wait for this market to mature. Suzanne Frey, an executive at Alphabet, is a member of The Motley Fool’s board of directors. Teresa Kersten is an employee of LinkedIn and is a member of The Motley Fool’s board of directors. LinkedIn is owned by Microsoft. Chris Neiger has no position in any of the stocks mentioned. The Motley Fool owns shares of and recommends Alphabet (A shares), Alphabet (C shares), and Amazon. The Motley Fool recommends Gartner. The Motley Fool has a disclosure policy .